Sometimes I hole myself up. Withdrawing and hiding from those who might hurt me or might not “get” me comes all too easily. 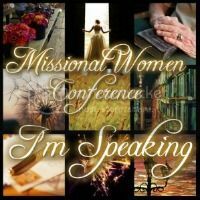 In fact, without even knowing it, I can immerse myself in activities, ministries, and to-do lists so that I never have to get past the surface. 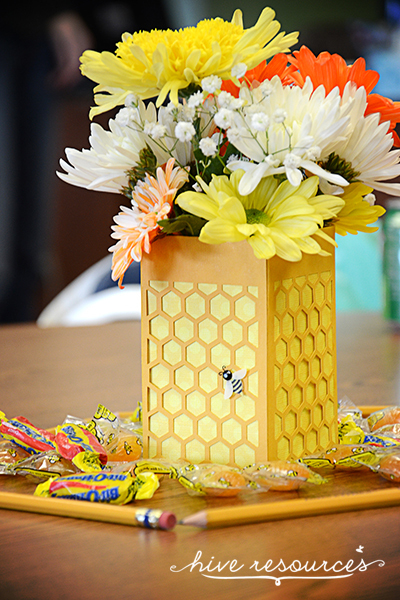 Because busyness can be a hiding place, too. Chances are you, too, find that hiding is easy – especially when circumstances threaten to swallow you whole. That’s one reason I love the Bible so much. Because no other book is more honest about the fears and failings of its heroes and heroines. David knew about hiding. In fact, when he penned this song, the soon-to-be anointed king had holed himself up in a cave. He was hiding from Saul who was pursuing him with the intent to kill. David was running for his life and sought refuge in the safest place he could find. “Be merciful to me, O God, be merciful to me! But this song gives us a peek into the heart of its author who was, at the time, probably fearful, exhausted, and a little emotional. Yet, David knew his refuge was more than adequate; his true refuge was in the arms (wings) of the Almighty. I’m sure when David penned this song he called to mind the grand story of the steadfast heart of his great grandfather, Boaz, who granted a foreign widow refuge under his wings (Ruth 2:12). And like his great grandfather, David’s faith in God as his refuge was well founded. 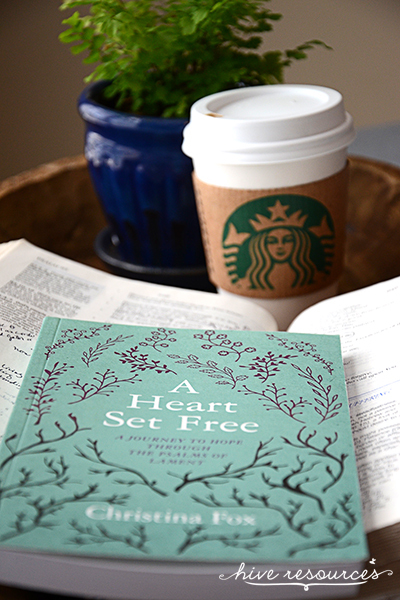 Because of the security of his Refuge, David’s heart was steadfast. What does a steadfast heart look like? Begs for God’s mercy (57:1a). Rests in God’s shadow (57:1b). 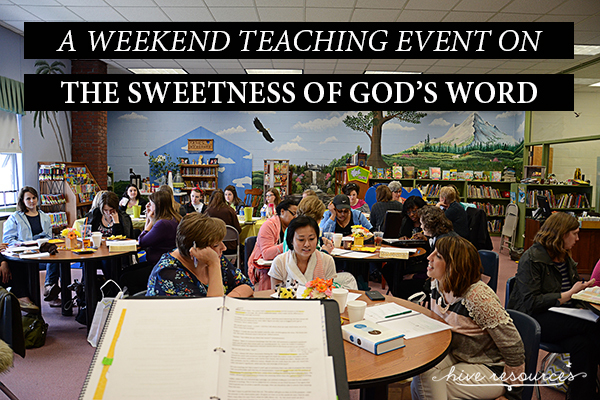 Believes God is powerfully at work (57:2). Incidentally, the name ‘God Most High’ only appears here and in Ps. 56. Usually we see Jehovah Elyon or El Elyon, but here it appears as Elohim Elyon, which scholar John Phillips translates as the Creator Most High. 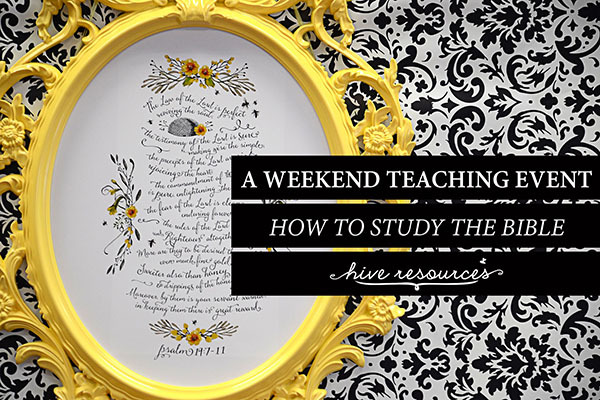 The title refers to God as the “supreme ruler or final authority.” We can have a steadfast heart because of the universal sovereignty of our God. Believes God will finish his work (57:3a). Knows justice will be established (57:3b, 6). Interprets suffering in light of God’s glory (57:4-6). Looks to the future (dawn) with hope and gratitude (57:8). Yearns to make God’s glory and mercy known (57:9-11). A steadfast heart is a joyful heart, resolutely trusting in God to move on their behalf despite circumstances, obstacles, or appearances. A steadfast heart is a fixed heart, unswayed by circumstances or people. No matter what bumps against you or rattles your chain, you will not be moved or swayed off course. That’s because when you tether yourself to the immovable, unchanging God, you secure yourself to the One who is himself steadfast (Ps. 61:4; 63:7; 91:4). And when suffering comes, you can face it with a steadfast heart informed by eternal eyes. Dear Heavenly Father, I believe your Word when it says you are at work in my life. Even when it seems you aren’t, I will choose to rest in you under the shadow of your wings. Please help me have a steadfast heart that is capable of trusting, resting, believing, rejoicing, and hoping in you and the salvation you have already given me. Because you’ve already done a great work in my life, I know you will be faithful to finish what you’ve started. I need a steadfast heart that waits expectantly for you with the dawn. I love you, Amen. John Phillips, Exploring the Psalms, 453. Photograph: Michael Loccisano/Getty Images. Original Source here. It’s not often you get to see a the crowning of a queen. Last week, Nina Davuluri, 24, from Syracuse, broke into tears when she was crowned the first Miss America of Indian descent. Born and raised in New York, this beauty queen is just as American as any of us, considering every American alive today enjoys their citizenship because either their family immigrated here or they chose to renounce the citizenship of their birthplace in lieu of a new homeland. But the hub-bub surrounding Miss Davuluri reveals how the ugliness of forgetfulness can impact any American – believer or not. After all, we are all immigrants. We all have histories. We all have heritages. Online, Miss Davuluri was called Arab (she’s Indian), terrorist (she’s a student), and Muslim (she’s Hindu). But the racism underlying those sentiments goes much deeper than unchecked national pride. Racism denigrates the God who created us all in his image. National pride taken to a sinful extreme establishes it own authority. It’s the same sinful extremism that led Hitler on an obsession to “purify” the human race. Blonde-hair and blue-eyes became the physical indicator of social superiority, and today the world still wears the scars of the Nazi regime, demonstrating the practical end of theoretical racism. But when God created the human race, he created us with shades and variations. It is exactly this variation that brings him the most glory. The immensity and majesty of God cannot be reduced to singularity of shade, just as his image within us should not be. We are all equal image-bearers of our Creator. When we set up one race or culture over another, we are guilty of denigrating the God who created us all in his image. And when we say we only want our kingdom to look like us, we are guilty of denigrating the kingdom into which God invites us. Racism denigrates God’s kingdom in which we all entered as immigrants. A few years ago, I watched my friend, who was born and raised in India, face an American flag, cover her heart, and pledge her allegiance to the United States of America. A few days ago, I talked to her on the phone after she recently filed paperwork to renounce her Indian citizenship. Dual citizenship is a tricky thing. While some countries allow it (including the U.S.), India does not. Neither does God. Paul says we were once children of wrath, belonging to a kingdom of sin. But in his great mercy, the King adopted us into his royal family and made us co-heirs over his kingdom with his Son (Eph. 2:1-2). When we cling to our old nature and old ways, we are desperately trying to maintain citizenship in two separate kingdoms. God doesn’t allow this, because as our corrupt hearts prove, we cannot successfully serve two masters without forsaking one. This truth catapults the controversy surrounding the crowning of the new Miss America beyond the repugnant claims of racism and into the realm of rebellion. Racism says part of God’s creation is faulty; rebellion against the throne says God’s purposes in building his kingdom are faulty, and he no longer deserves to be King. But Ps. 87 tells us God has majestic plans to beautify his kingdom. It says Zion is a place made lovely by the people who dwell there – the King and residents from all tongues and tribes. “This one was born there.” Selah (Ps. 87:4-6). None of us deserves our spiritual citizenship. We were not “born” there; we are born of a different kingdom. But, God writes our heavenly citizenship in the Book of Life with his very hand. Even though we’ve been born in the kingdom of wrath, he views us as if we were “born” in Zion, the kingdom of righteousness. To accuse the validity of an individual’s citizenship in heaven is to accuse the qualifications of the One who wrote their name there. I realize our American citizenship cannot be compared to our citizenship in the Kingdom to come; they are of two different worlds. But I truly believe the hateful words used in this controversy go beyond ignorance, and even hate, although those things are certainly present in the ugliest of forms. The controversy surrounding Miss Davuluri goes all the way to the gates of heaven, where God in his great mercy gives citizenship to all those who are risen with Christ. And while there will be individuals left out of the kingdom of God, it won’t be because of skin color, family history, or earthly heritage. All those who are adopted by the King will be called his sons and daughters (2 Cor. 6:18). If we do not accept others of different descent into our social fabric, we are not reflecting the same grace shown to us by the “Most High Himself” who granted us citizenship into his kingdom as foreigners. This is the ugly side of forgetfulness. And knowing that the way we live our lives on earth points to our heavenly citizenship, women everywhere should be affronted by the attack on this woman. 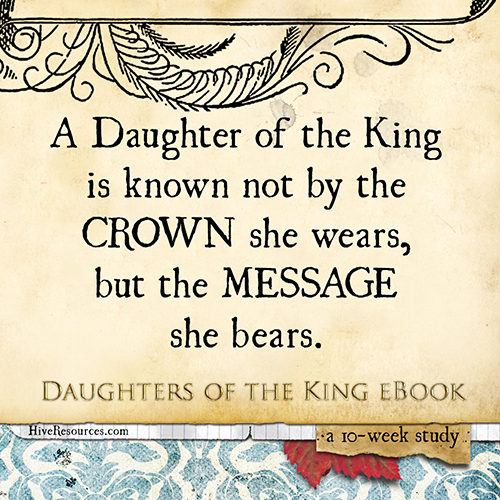 A Daughter of the King is known not by the crown she wears, but the message she bears. Do our actions reveal a heart courting dual citizenship? Or do they speak of the grace of our King who welcomed us as foreigners into his kingdom? 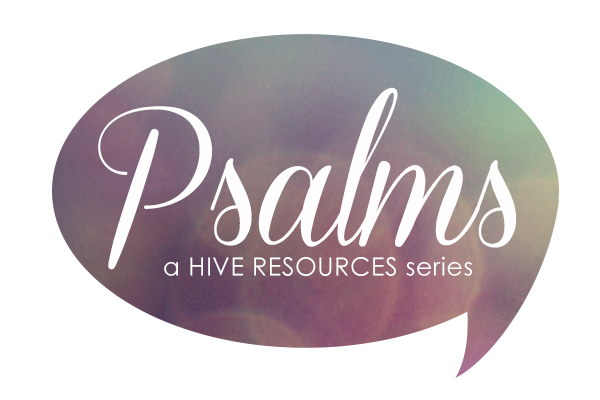 Subscribe to Hive Resources to get all the info on the upcoming launch of my eBook, Daughters of the King: Finding Your Place in the Biblical Story. Betrayal by a friend can do more damage than an entire battle. No one knew the sting of betrayal better than David. 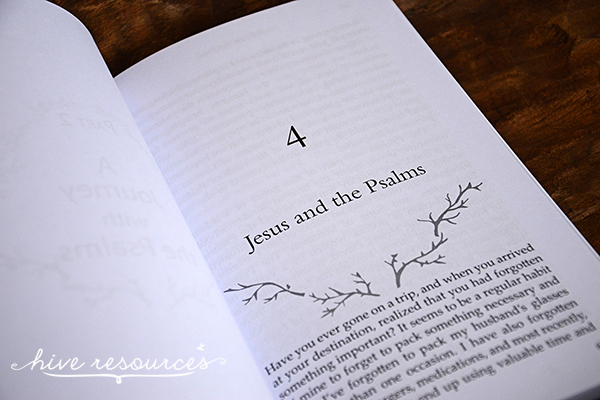 In Psalm 55, David finds his heart opened up and war torn by a close friend. Caught unaware, David’s thoughts and conversations are consumed by what has happened. Chances are, you can relate. When we’re let down by others, it’s all too easy to spend our nights analyzing words and actions, tossing and turning instead of resting in the One who knows the ripe pain of betrayal. But unlike so many of us, David doesn’t lose hours of sleep rehashing the event in his mind or getting a “second opinion” from friends. Rather, he places the situation squarely in the hands of his God. Internally, the betrayal was tearing David up. He could see the wickedness around him and was prepared to face it. He was not, however, prepared to see a good friend classified as one of his enemies. Who is David’s betrayer in Ps. 55? Some believe David is referring to his son, Absalom, who rebelled against his father in grievous ways. But scholar John Phillips believes the pain David felt in this psalm came as the result of a double blow. David was betrayed by his own son and his good friend and advisor, Ahithophel. As a personal advisor to the throne, Ahithophel would have walked with King David in the temple courts and would have been privy to many of the throne’s secrets. In the end, Ahithophel gave counsel to Absalom and aided in the insurrection against David’s throne. He was the one who counseled Absalom to steal David’s wives in order to make permanent the damage to the King’s throne (2 Sam 16-17). The thought off such a calculated betrayal pains David greatly and informs the angry prayer we see in this song. God does not expect us to suppress emotions when others sin against us. There is real injustice in the world, and it brings very real pain. But too often, we give vent to our emotions in sinful ways. We disguise excuses to gossip as prayer requests. We manipulate the feelings of those around us to garner compassion or pity. We dwell on and nurse sins committed against us in order to assuage our own righteousness or pride. Betrayal is not pretty – for the betrayer or for the betrayed. But when David vents about his circumstances, he takes his emotions to the One who rights all wrongs. So upset is David by his betrayal, that he first expresses a desire to flee. But running from a situation (or holing ourselves up on our sofas) doesn’t bring reconciliation. In the end, David acts by asking God to restore order to his city. He asks God to “divide their tongues” (vs. 9). The historical account is recorded in 2 Sam. 15 when David’s friend, Hushai, came to visit him in the wilderness. David sent Hushai back to the rebellion with false counsel tasking him to serve as the “divided tongue” God used to ensure their downfall and David’s victory. God brought victory to David. We’ve all had a friend we thought had our best interests at heart only to be surprised they had “war in their hearts” instead (vs. 21). These people trick us with their smooth talk and compliments, then use their words to wound. Whether it’s the friend who speaks ill of you to set themselves up as funny. Whether it’s the coworker that throws you under the bus to get the big promotion. Whether it’s the family member who practices deceit to gain an audience. Whether it’s the church friend who undercuts your acts of service in order to curry favor. These individuals are indeed at war. They are at war with a holy God, rebelling against the hard edges of his Word that calls all people to faith and repentance, humility and service, love and sacrifice. In the end, David acknowledges it will not go well with the betrayers – not because believers can use God as a weapon of retribution, but because God is at work in the world to make all things right. And he will not “permit the righteous to be moved.” As we’ve seen in this song, believers will encounter difficulty sure enough. Betrayal is all too common. But Scripture is clear that the battle of redemption has already been won. God does not permit the permanent undoing of those who trust in him (Ps. 55:22-23). In the end, as John Phillips says, “the only thing to do us to fling ourselves into the arms of God, as David did at the close of this psalm.” (Phillips 436). 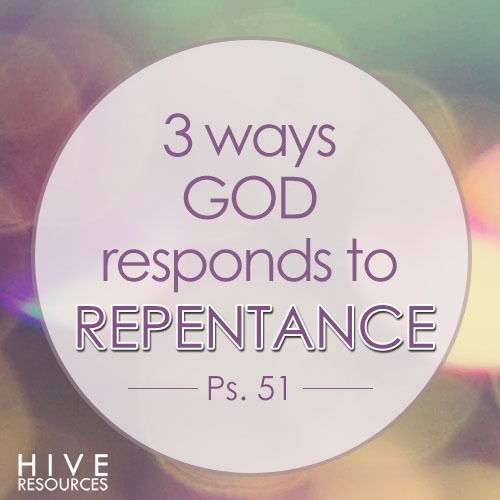 God responds to a repentant heart out of his character. Being merciful, he blots out our transgressions instead of visiting us with his wrath (Ps. 51:2). Being gracious in his love, he washes us of our dirtiness when he didn’t have to, becoming dirty himself. Being compassionate toward his creation, he desired to see us walking how he designed us rather than continuing to stumble around on the path of our choosing. David knew this. And to show how God responds to a repentant heart, David penned Ps. 52 after the prophet Nathan confronted him concerning his adulterous and murderous affair with the wife of his captain of the guard (2 Sam. 11-12). We all know her name. She’s famous. Bathsheba. And we all know how one act, one failure, could crush a king. David acknowledged his need of Divine help to battle his sin (51:3-4). David knew first-hand sin was much more than simply wrong words and actions, but who he was as a person. He was a sinner because he had sinned, but he was also a sinner because it was in his very nature to do so. In Ps. 51, God’s character as holy and loving stands against David’s character as sinful and selfish. Where God is merciful, man is filled with revenge. Where God is gracious, man is petty. Where God is compassionate, man is self-centered and hard. Repentance is an act of worship. It was by no accident that Jesus told the woman at the well that worship occurs in spirit and truth (John 4). In Ps. 51, we see God’s Spirit playing a vital role is prepping us for worship. For his people who were trapped in the externals of tradition and ceremony, God desired more – a better reflection of his character. Ultimately, God keeps his promises to his people (to give them a place to dwell with him) (Ps. 51:18-19). He restores our relationship with him. And when God responds to our sin, he does more than forgive our mess-ups or wipe our slates clean. God responds to our sin by restoring our ability to worship him. Dear Lord, I cannot fully grasp my sin. I know I need help. My mistakes and poor choices seem irreparable. But you are bigger than my sins. You see beyond what I say, think, feel, and do. You see the person you created me to be – a worshiper clothed in righteousness. Please help me worship you. Forgive me of my rebellion & selfishness. Clean me and restore me. In your Son’s holy name, Amen. 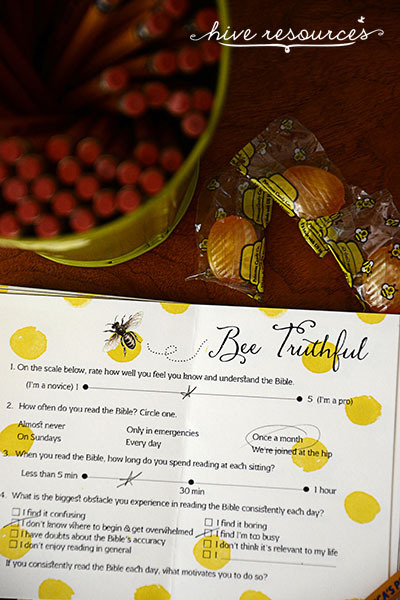 This year, I’m walking through the Psalms for my daily quiet time. 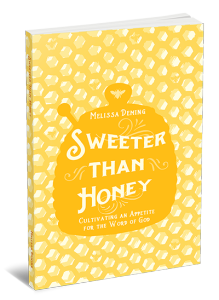 Check out the full listing of my devotionals so far! 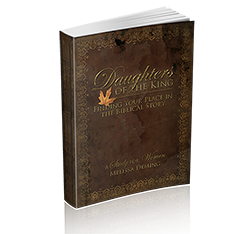 And be sure to subscribe to get all the info on the upcoming launch of my eBook, Daughters of the King: Finding Your Place in the Biblical Story. We don’t have cable, but on a recent trip we enjoyed the luxury of plopping down on a family member’s couch and willing the remote to flip through all our favorite TV channels. While exploring what we’ve been missing since making the choice to cut out television, we landed on Bravo’s Million Dollar Listing – a reality show following the manic schedule of New York real estate brokers, their flamboyant clients, and their jaw-dropping listings. And while we were mesmerized by the luxurious homes they were pushing (radically different from my own), the show was made even juicier by the cast’s cutthroat maneuvering and worldly outlooks. Prestige was the end game. And where you lived and how much your home cost said more about you than the state of your relationships and personal integrity. 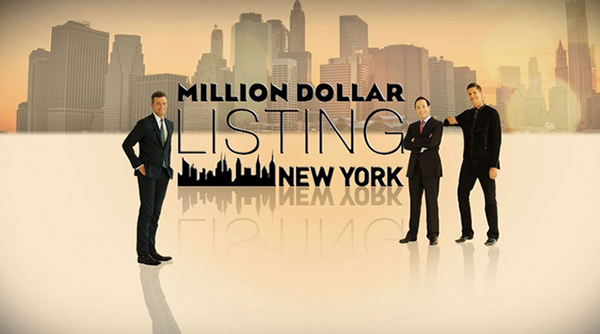 But as much as I hate to say it, the Million Dollar Listing didn’t start with the Bravo network. Ps. 49 tells us about wealthy men who take mistaken pride in their homes and dwelling places long before the birth of pent houses and high-rise apartment living. And Ps. 49 tells us their greatest mistake, too: the belief that their homes and land would last forever (vs 11-12). Why? Because all people – no matter our belongings, prestige, or power on earth – face a universal end in the grave. Our wise hope, then, is not in what we own, but in who owns us. As I became mesmerized by the glitz and glamour of the Million Dollar Listing (oh, the heels, alfresco cafes, and indoor pools!) i found myself in a difficult spot. My cozy seat on the couch turned into a sort of throne, and I began to size up the hearts and deeds of those on the show. And while there is much about this show that is rightly judged as foolish, simply because wealth is not eternal does mean it is evil. Vs. 20 says: “A man who is in honor, yet does not understand, Is like the beasts that perish.” Vs 20 uses a play on words to illustrate the futile nature of placing too great a significance on temporal qualities and objects. The psalmist uses the word ‘adam for man and its derivative damah for perish, giving the sense that just as man is made from dust he will one day return to that from which he was made. The foolishness of man is not simply placing greater significance on things than we should, but in considering ourselves greater than we truly are. Our lives have value not because of what we’ve done or how we look, but because we belong to the Christ – who eternally takes us to himself. Dear Jesus, help me remember that my identity in Christ Jesus – who paid the ransom for my soul – is the greatest indicator of my personal worth. Too often I get caught up in other earthy indicators that have no lasting value. Help me remember those things don’t last. Help me find eternal eyes through which to view myself and others. Thank you for your insanely personal touch in my life. You reached down and redeemed me. You laid hold of me and brought me back to you. Your life gives mine its value. I love you, Jesus. In your holy name, Amen. Derek Kidner, Psalms 1-72 (Downer Grove: IVP Academic, 1973), 202. The safest place you can be is in the very presence of God. This truth is evident throughout the Old Testament as God promised to give his children a place to dwell with him as long as they listened and obeyed him. The Sons of Korah pick up this theme in Ps. 48, giving the reader a breathtaking view of a city made strong by its Creator. But this city – which was intended to be a blessing to other nations looking in – confused their object of hope (48:4-7). You can imagine their confusion when their beloved city that was promised to stand forever – did not (48:8). So why is this psalm included in the Psalter if its words did not ring true for God’s people? 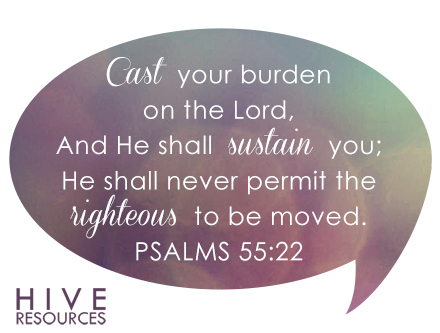 This psalm speaks to the renewed nature of hope that Israel placed in God for a future restoration. In short, they hoped the words of this psalm would ring true once again. God’s hesed (lovingkindness) toward his people was the basis of their trust; they trusted him for forgiveness, grace, and mercy. When we trust in what God does, we acknowledge his lovingkindness toward us. They “thought on his hesed” in his temple – meaning they followed his prescribed method for worship. They wanted him to know they were following him and obeying his Word – strong sentiments considering there was no temple after their immediate return from exile. God’s name is holy, and a holy God does holy things – like remember his promises. God’s holiness was key to the Israelites because he promised to make them holy like him. God gave his people his Law to show them what holiness looked like and how badly they needed it. But here, we see a glimmer of hope bursting through for a righteousness to come. 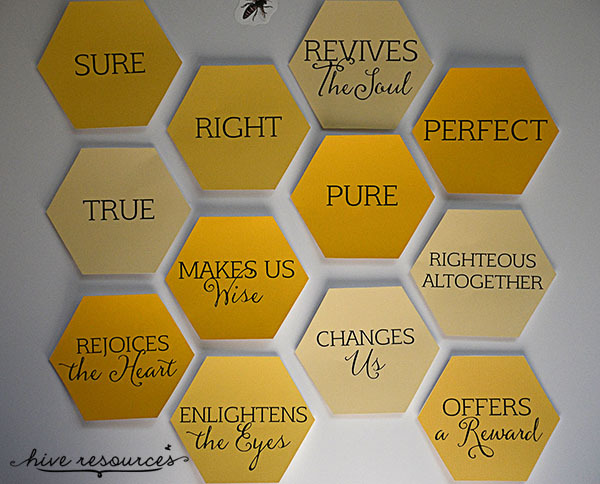 When we trust in who God is, we acknowledge his is righteous. And the God who loves his people has righteous Hands. This is cause for celebration because he upholds his people in his very own holiness. Because of God’s hesed and holy righteousness, God’s people can trust that one day he will return to his city. Throughout this song, the city is referred to as Zion – an eschatological (end times) hope in the eternal city in which God will dwell with his people forever. Old Testament theology makes much of Zion, and rightly so, because upon this “place” dwells the hope of many of God’s promises – safety, justice, peace, restoration, and more. It why the Psalmist ends his song by urging God’s people to count the city towers as if they already existed (Ps. 48:12-14). These writers had forward looking eyes. Instead of rabble, they saw rising towers. Instead of burning piles they saw bulwarks. Instead of smoldering ashes they saw palaces of grandeur. It was this hopeful eyesight that God intended for them to pass along to their children – a hope that rested not in the blessings of the city (happiness, prosperity, safety in vs. 1-3), but in the One that brought those blessings with his presence. It’s easier than you think to confuse the blessings of dwelling with God, with the gift of his very presence. As hope-filled believers, we know that God’s presence often comes hand-in-hand with difficult and painful times. But in the midst of suffering is the hope of God’s sustaining presence. It is enough for today and for tomorrow. Dear God, please give me forward-looking eyes. Help me see rising towers instead of rabble. Help me see bulwarks in place of burning piles. 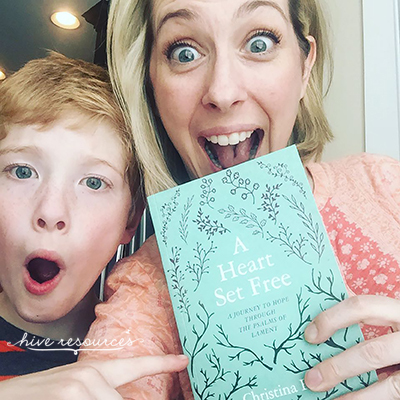 In order to pass forward-looking eyes to my kids – I must first have the kind of eyes that behold the surety of your promises over poor circumstances. The kind of eyes that see who you are and what you do in the midst of a bleak skyline. Help us choose to hope and praise on days when disaster screams for us to hate, rail, and wail against your name. Be our guide. Dwell with us. In Jesus Name, Amen. Dorothy Patterson, ed. The Woman’s Study Bible, 1st ed. (Nashville; Thomas Nelson Publishers), 909. Twelve years ago I walked down a carpeted aisle that seemed to stretch into eternity. I walked toward a man to which God had matched me. The chapel was beautiful and bright; and the day even more so. But when my husband and I celebrated our anniversary last week, we didn’t spend any length of time reminiscing over the actual wedding day, my white dress, or even the delectable chocolate groom’s cake made by a friend. Instead, we talked about the future – what it held, how we were going to attack certain problems, and where we wanted to “go” as a family. In Psalm 45, another match has been made. Ps. 45 is the song of a national wedding telling the story of a match made between a King and a royal daughter. But this bride and groom are of more importance than a politic union; they are a match made in heaven (literally). Listen to how this song describes the groom, and then tell me who you think it is. (Be sure to check out the extra textual goodies in the footnotes). So, who’s the groom? Depending on how you approach the text, you could come up with a couple of possibilities. Is the groom David or one of his kingly descendants? Very possibly. Or is the author writing about a future coming King who will sit on an eternal throne and usher in permanent peace? Yeah, this option sounds good too! Especially when he’s described as eternal and divine in verse 6. So, which is it? Is the groom a Davidic king or the Messianic King? In their book Jesus the Messiah, several Old Testament scholars believe that the mention of David’s “future heirs” make it clear that the groom isn’t exclusively Messianic. Instead, the authors believe Ps. 45 initially referred to an historical Davidic king but also provided “the foundation for a later robust messianic hope.” They believe this song was used to celebrate royal marriages in general. The Groom of Ps. 45, they believe, is an ideal man and an ideal king. But, I can’t help but wonder in what sense is a historical Davidic king called God? (Check out vs. 6b). Even the Jesus the Messiah authors must finally concede that “taken in its most robust literal sense, the words of the psalmist do in fact address the ultimate Davidic king as God” (85). And we know the only Davidic King worthy of such a title is the Messiah. The Groom is the Messianic King. The bride, like any other bride on the dawn of her union, is given wise counsel to help her keep her vows. Here’s what the bride is urged to do on this bright and beautiful day. She’s told to prize her Groom above all else and everyone else (vs. 10). And she’s told to worship the King (literally ‘bow to’) (vs. 11). I love how Old Testament heavyweight Derek Kidner describes this verse. He writes: the bride’s submission to her partner as both husband and king goes hand in hand with the dignity she also derives from him. His friends and subjects are now hers; she is the gainer, not the loser, by her homage. And the results of her wedding day? The picture of this glorious wedding procession is likened to another match made in heaven – where another groom is breathlessly awaiting his beautiful and specially chosen bride. Ps. 45 is of monumental importance in the Psalter. Not only did it express a great, enduring hope in the coming Messiah, it expressed a hope that one day the people would be united eternally with their King as his bride. This hope is of no small consequence to the reader, who is still wiping away the tears left behind from reading the previous psalm regarding national calamity in Ps. 44 and lifting his eyes toward eternity with this song of a national wedding in Ps. 45. Ps. 45 is for us, each one of us who is called God’s people, his church (Eph. 5:22-33). We are the blushing bride standing at the back of the chapel, looking down what seems like an interminably long aisle toward our Groom. He’s waiting for us. Breathless. Our Groom is ready to be matched with us – a bride made glorious and beautiful by our association with him. A bride blessed beyond compare with every spiritual blessing given to her by her Groom – a royal position, regal new clothes of righteousness, and matchless beauty. Dear Heavenly Father, thank you for your great love that chose us and transforms us into your holy, lovely image. We cannot fathom the riches of our relationship with you – the blessings of gladness, wisdom, salvation, and more. Thank you for making us whole. Thank you for making us lovely. Thank you for bringing us to you through your Son. Help us to train our eyes toward eternity. 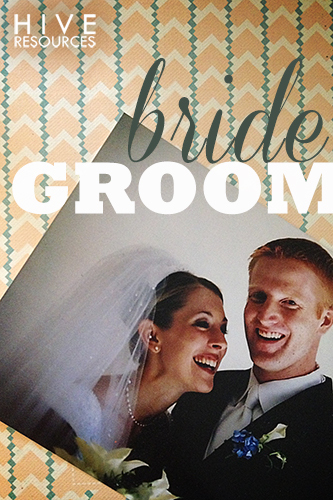 Above all else, help us be a bride that prizes her Groom above all else and everyone else. In Jesus Name, Amen. 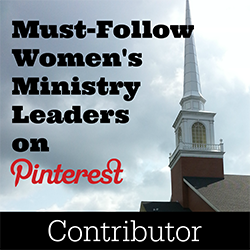 Did you miss a post in this Psalms series? 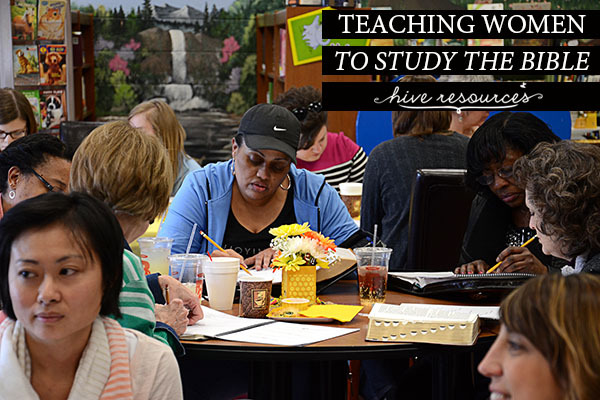 Click here for the full list! See also Ps 2:8-12; 18:47; 110:3, 6-7. This verse is used in Heb. 1:8 to show the superiority of the Son to the angels. The Messiah is God in verse 6b. Derek Kidner says this truth is consistent with the incarnation. Specifically, he notes that “the faithfulness of Pre-Christian LXX in translating these verses unaltered is very striking.” Derek Kidner, Psalms 1-71 (IVP Academic: Downers Grove, 1973), 189. Herbert Bateman, Darrell Bock, and Gordon Johnston, Jesus the Messiah (Kregel Academic: Grand Rapids, 2012), 87. On April 15, 2013, I awoke to read Psalm 42. As I soaked in the words in this iconic and gut-wrenching song, runners were warming up at the starting line of the Boston Marathon – months of mental and physical training bolstering their excitement for the race. But when they crossed the finish line later that day, they were unprepared for what befell many of them. I sat in the safety of my living room as reports came trickling in. Pictures and headlines all pointed to the needlessness of the tragic bombings. And having just read Ps. 42, I was struck by the confusing and infuriating nature of worldly suffering. The title of this psalm, added later, describes the difference between godly grief and worldly anguish. The NKJV renders it: “Yearning for God in the Midst of Distresses.” That is what differentiates a believer’s encounter with suffering from the world around us. The psalmist knows real-world suffering. He meet pain with constant tears. However, his grief is tempered with the knowledge that God is both living and just. In the face of terrible events, the entire world pants for justice asking “Where is your God?” We know he is alive and trustworthy. More than justice, vengeance, answers or apologies, godly grief seeks the solace and promises of God’s presence when disaster strikes. In this psalm, the psalmist used to go to the temple along with the multitudes, but the pain of circumstances interrupted the free-flow of worship and praise. Centuries later, this truth about human nature still rings true. Emotions can leave us raw. Our words come out wrong and our prayers are ragged. This is the reality of worshiping God in a fallen world. But in the face of loss and tragedy, God doesn’t expect us to paste on a smile to worship him. Ironically though, this is often our default mode of “Christianizing” our circumstances. 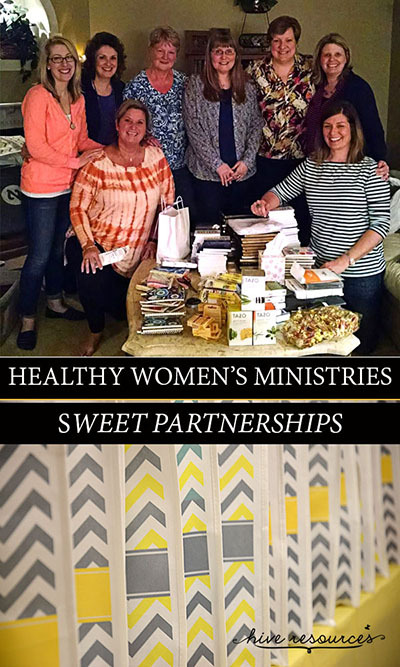 We also tend to cover up pain by a variety of means – throwing ourselves in a new schedule, filling up our calendars with activities, over reaching our finances in retail therapy, and even taking on new church or ministry projects. Or worse still, we allow whatever lie that is peeking through our circumstances to grow so big that we must look to deeper and darker things in which to pour the blackness of our tears – liquids, chemicals, media, or more. The problem is this: the worldly means into which we pour our souls are untrustworthy vessels for catching our tears. Like rusty sieves, they cannot do what the presence of God can do – comfort, restore, and renew us again. Instead of pasting on a smile, we must look to the Person of Christ, who IS ‘God With Us,’ instead of the things of this world. He alone is the trustworthy vessel into which we can safely pour our hurt. Hope and help in the Living God inform godly grief. That is not to say we should ignore the powerful emotions that come with anguish, but rather, those who pour their hurt into Christ filter our emotions through the knowledge that God stands ready to help. Paul echoes Ps. 42 when he warns us against ignorant anguish or sorrow that is not undergirded by such a vast hope (1 Thess. 4:13). It is through God’s countenance that we find hope to praise him once again. God’s countenance is with us both night and day, the Psalmist says. And even when others mock and misunderstand the hope within us (vs. 9-10), we are encouraged to follow the Psalmists lead and cling to the help God’s presence provides. Ultimately, it is through God’s countenance that our own countenances are changed – from fallen and disquieted to uplifted and restful. 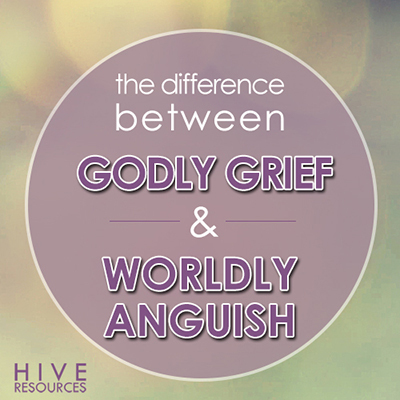 The difference between worldly anguish and godly grief is three-fold. In the midst of distress, our soul thirsts, pours itself out, finds help & hope in the presence of God. Dear Heavenly Father, help me to rest in your presence today. Help me to direct my grief upward to you instead of seeking solace inwardly by withdrawing or lashing out. Give me the desire to want to rise early and meet you and to hope in you above all things. You are acquainted with my loss and pain. In Jesus’ Name I pray, Amen. 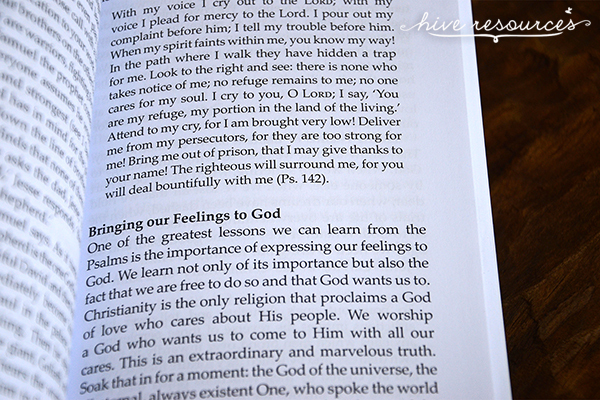 Did you miss a post in my Psalms series? Then click here!